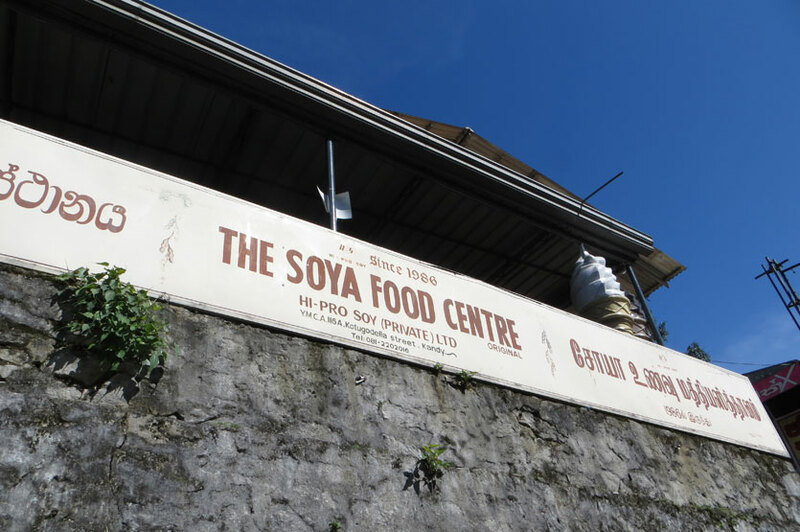 Most people who have been to Kandy know of The Soya Centre. That haven for dairy free delights on Kotugodella Veediya, right in the centre of Kandy town. The two large ice cream cones that you can see from the street, beckon to locals and tourists alike. Unfortunately the Soya Centre in Kandy is the only outlet in Sri Lanka that does 100% soya ice cream these days. What was once a popular treat has all but disappeared around the country which makes the Soya Centre that little bit extra special and no wonder, it’s been going strong since 1991. 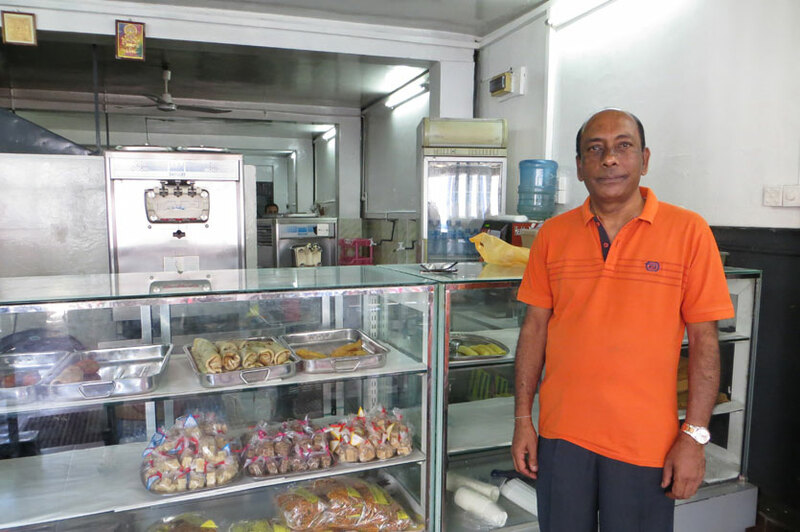 We spoke to the Manager of the Soya Centre, Sathasivam Chandrasehar about how the business has stood the test of time for the past 21 years. The government of Sri Lanka had asked for assistance from the US to help combat malnutrition in Sri Lanka in the 1970s. In response to this request, the US set up a factory in Gannoruwa, Sri Lanka, and taught the agriculture department how to make soy based products, including soy oil, and soy flour. The Sri Lankan government handed over soy seeds to the farmers and instructed them to cultivate it, but the farmers were not told all the details about the uses of the crops, so the project resulted in failure. After this, the government of Sri Lanka reached out to Canada for assistance,and a NGO named "Plenty Canada" which had done projects like this in places like Guatemala, took up the task of teaching Sri Lankan people to grow soy crops and how to produce soy based products that are palatable to Sri Lankans. Along with that initiative, they also opened this outlet. They also had training programs to empower small scale entrepreneurs in the country. Soya is perfect for dry zone climates; it doesn’t require much water which makes it a very sustainable, easy to grow and is high in protein. 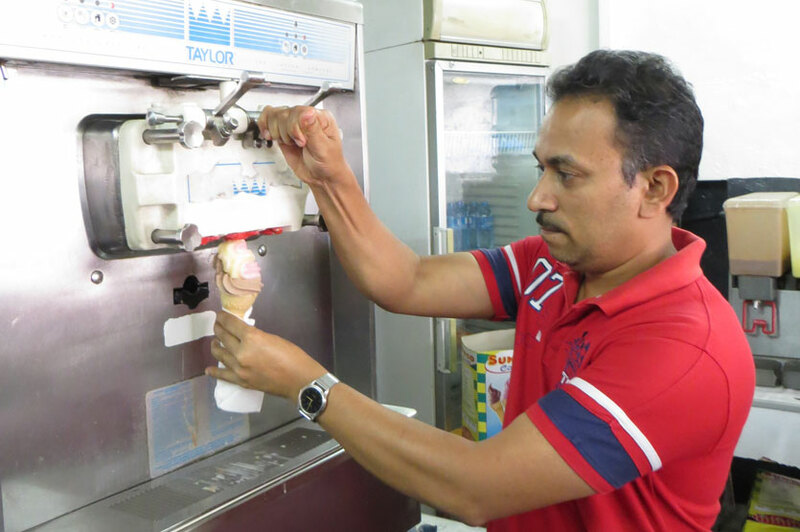 As soya wasn’t well known in Sri Lanka at the time, they had to find ways to attract people to something new – and that’s how the soya ice cream was born in Sri Lanka. As Mr. Chandrasehar says “We can do everything and anything with soy” and the proof is in the pudding when you go and see the extensive menu at The Soya Centre. 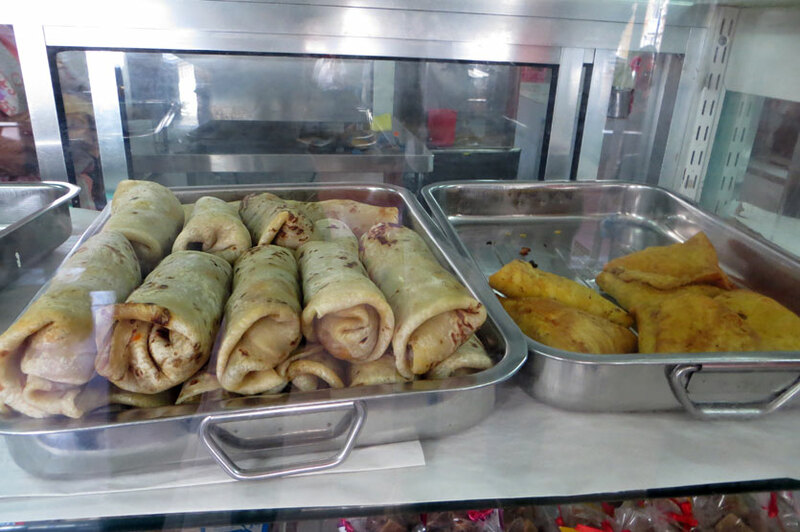 There’s short eats such as Chinese rolls, spicy roti wraps, and samosas. There’s also a rotating selection of frozen products for takeaway such as tofu and curry balls. The stars though are the Rs. 90 soya ice cream cones. In either chocolate or vanilla and strawberry flavours (or you can mix both of them) these cheap eats really hit the spot. I asked Mr Chandrasehar on his opinion on the negative publicity that is sometimes attached to soy. “China, Japan, Korea – they’ve all been eating soya forever, it’s their staple food and they are some of the strongest countries in the world, mentally and physically”. From my own research I’ve found that the main concern with soy is that from the genetically modified (GM) beans due to the production of formaldehyde in their growing process which some studies have found to be dangerous. Anyone who has a concern about the safety of soy products should always pick non-GM soy, or go for natural varieties. The crops grown in Sri Lanka that supply the soya centre are all non-GM, everything is grown in the country and they use limited imported ingredients. So by visiting the soya centre you aren’t just getting tasty snacks but supporting local farmers. There is a whole list of health benefits that come with introducing soya into your diet. It cuts cholesterol – unlike dairy products that can increase cholesterol. As it also it’s also very in protein you can portion control more easily and eat less of it but still get that full feeling. I asked Mr Chandrasehar some questions about the success of The Soya Centre. Trip Advisor gives you such great reviews, why do you think it’s so popular? We have an open kitchen, anybody can see what’s happening, and we keep it very clean. People are very happy with the service we provide; the way the food is prepared. We believe in the philosophy that today’s food is for today, not for tomorrow. Every day you can see fresh things and people love it! They love this food and they are so happy with what we offer, not just for tourists but locals as well. 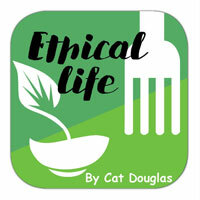 From the time you started have you noticed an increase in vegetarians and vegans? Not necessary among Sri Lankans, but foreigners - especially from Germany. There are locals who are vegetarians as I’ve come to known them now. Usually they come and buy takeaway food to heat up or cook at home. What do people really enjoy? Of course the ice cream is very popular, we had a Chinese couple that came straight from the airport to the Soya Centre. The Chinese rolls, I have one client that will only eat the Chinese rolls, if there’s no Chinese rolls he will not get anything else! The rotis are also becoming popular and also the samosas. Are you yourself a vegetarian? My daughter and wife are. I’m a vegetarian on Tuesday, Thursday, Friday and Saturday which is more for religious reasons as I’m a Hindu. I just have chicken and fish, just a small piece - that is enough for me. I may become a vegetarian in the future. What are your tofu tips? Don’t take it and put it straight in the fridge. Take a pail of water and put the tofu into it and keep it in the fridge. The tofu should remain underwater, if it floats- it’s bad. Keep it maximum of 2 days as it's a fresh product and should be eaten fresh. If you want to keep it for longer you can season it with soy sauce, chilli powder and pepper. Mix it well. Cut the tofu into cubes, fry it and put it into the freezer to use in a dish in the future. What are some of the products you have that you can take away? If you are in Kandy for a few days you can bring us a container and we’ll fill it with ice cream, freeze overnight and give to you. We also sell fried tofu and curry balls at the moment. Have you had any interesting customers? Once we had a backpacking couple from New Zealand, the lady was lactose intolerant and hadn’t had ice cream for 25 years. They came in and had an ice cream. Then in the afternoon they came again, and then again in the evening. For 3 days, 3 - 4 times a day they came and had ice cream. They were supposed to be travelling onto the beach after Kandy but a few days later, she turned up again in the soya centre again saying “I don’t want to enjoy the beach, I want to enjoy the soya ice cream.” I think out of a 3 week stay in Sri Lanka she spent about 10 - 12 days in Kandy and on the last day she had 3 ice creams in one go. That’s about 40 ice creams! 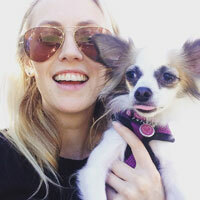 "Of course, I have to mention our beloved local customers, particularly those from Kandy. They have been such loyal customers of ours, and it has always been our immense joy to serve them over these years. I have been told numerous times that they have enjoyed these soy ice creams since they were small children, and it delights me to see families enjoy what they love - as they have been doing over the years. Do you have plans to open a branch in Colombo? Until then readers, you can visit the Soya Centre in Kandy for their world famous ice cream, open everyday from 8:00AM to 6:30PM.